Pure Gold is the name of this exquisite, hand-poured candle, significant because gold represents 50 years. 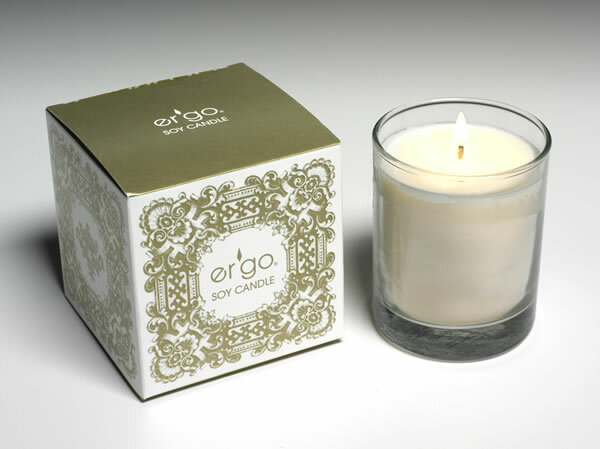 These soy candles are made using only the finest perfumes and essential oils with one hundred percent natural, all vegetable soy wax by Er'go, a company that seeks to transfer the love and peace they put into their products throughout the world. In delicious Dark Chocolate, Linen, Rosemary and the newest Zoysia scent, a blend of vetiver, lemongrass and cedarwood.